Venture capitalist elected to US Congress in 2010, succeeding Melissa Bean. Conservative "Tea Party" Republican; anti-abortion rights, pro-gun rights, pro-offshore drilling, pro-PATRIOT Act. Campaigned urging reduced taxes, secured borders, repeal of 2010 health care reform, and elimination of the Department of Education and Environmental Protection Agency. 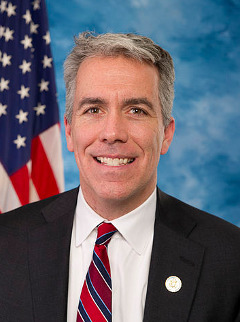 Named a "True Blue" member of Congress in 2011 by the Family Research Council for his "unwavering support of the family", despite refusing to pay $117,000 in back child support. Lost bid for re-election in 2013, and succeeded in Congress by Tammy Duckworth.